Easter is coming up, and due to the ferocious weather conditions many of us have had this winter, most people are anxiously waiting for *any* signs of spring. 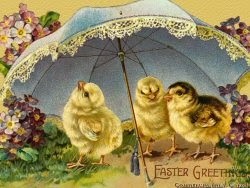 Easter has traditionally heralded that spring is right around the corner. With that in mind, let’s talk about what to give your child for Easter. Oh yes, we all know Most Parents give their child a pretty basket with “Easter grass,” filled with assorted candies and little trinkets. But do you want to just be Most Parents?” NO! You want to give your child something that will make him look at you with adoring eyes and forever remember this Easter as the Best Easter Ever! And that means a pet. But not just a little chick. Little Susie or Tommy could get their eye pecked out by that pointy beak. No, I’d like you to think about one of these more exciting pets for your little darling, and write me to let me know how it all worked out for you. You can show your appreciation with checks, cash, and debit cards. Give your child the dream of a lifetime! 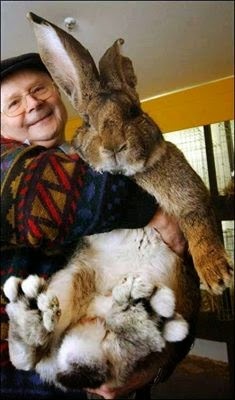 Giant Rabbit comes with large rear feet for speed and over-sized toes for better traction. Set at rear feet drive or front paw with the flick of a hair. Side-head eyes allow for extra peripheral vision and the safety you desire for your child. No "deer in the headlights" danger for this bad boy! Ears the perfect length for steering allow your budding NASCAR racer the control he needs for those unexpected twists and turns in your back yard. Seats one average toddler or two precocious infants. Ages 9 months to 3 years. Made in Germany. Über! *Comes with a lifetime supply of large raisins inside, at no extra cost! 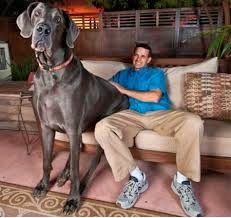 For canine lovers out there, this is Giant George, who stands at 43 inches tall. Both fore- and hind-leg drive, he’s built to fulfill your child’s need for speed! 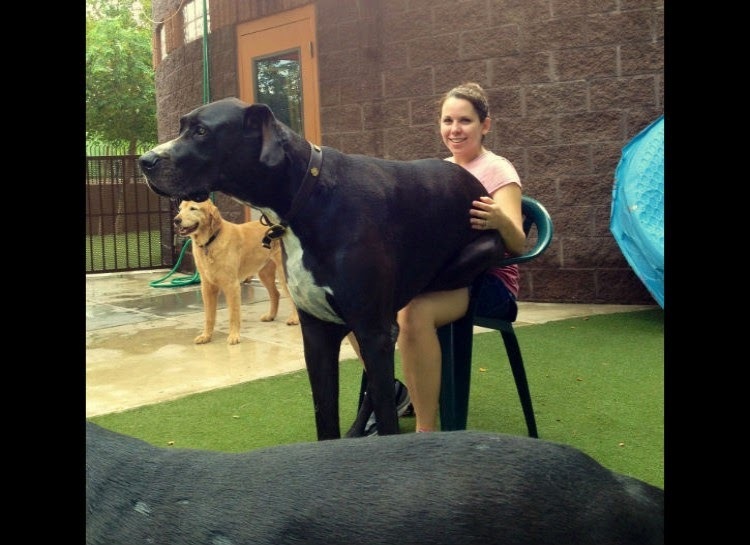 Extra strong claws for better traction allow him to reach the nearest tree in seconds, plus he can knock down a Mailman weighing up to 450 pounds. Front-facing eyes will spot out any obstacle in your child’s path, like squirrels or cats, even in the foggiest weather. With super sensitive hearing, Giant George will return your child to you at your whistle. Features the newest GPS nose for direction and tracking, and ear flaps for protection in the rain. *Also comes in this Limited Edition UK model. 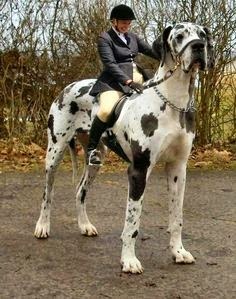 Saddle and bridle not included. If speed isn’t your main concern, or you prefer a slower pace in life, the Giant Tortoise may be the gift you’d like to give your child this Easter. At a quarter ton, this baby is built to last long after your great-grandchildren are gone from this world. Premium leather covers the front and back paws, as well as the neck and head, with that weathered look so popular among today’s youth. The Giant Tortoise features a hard-core protective shell roof your child will love to polish to a high sheen. Though the shell roof and undercarriage allow room for GT‘s front and back legs, as well as the swivel head, I do feel the need to warn you that your child will unfortunately be unprotected when the Giant Tortoise goes into stealth mode. 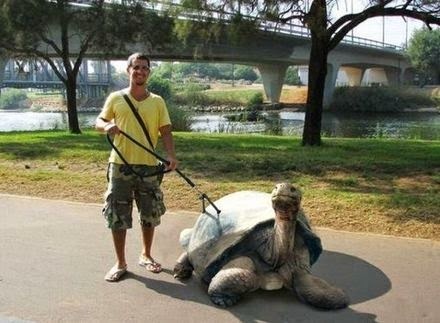 Low maintenance, requires plant-based fuel, and do note that no matter what little Jimmy says, you will probably end up walking the Giant Tortoise yourself. 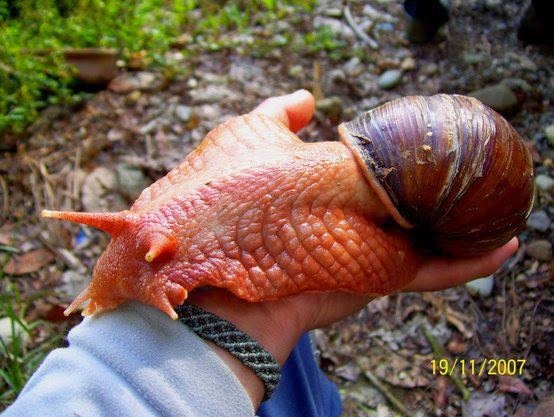 If you’d like to give your child something even slower, you might consider a Giant Snail. Or, um….let’s not even go there. I think I’m going to go vomit now. This is better, and out of all the Easter pets is the easiest for your child to care for. 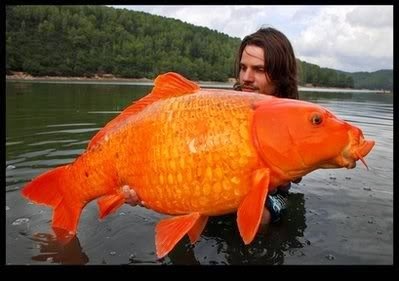 This Giant Goldfish comes with a lifetime warranty on all fins and scales. Super sleek scale patterning provide for a smooth ride through your back yard pond and speeds of up to 3.1 MPH to thrill your child. Side-head eyes allow the Giant Goldfish to spot any dangers like the venomous lionfish or the electric eel lurking in even the murkiest of waters. Worried about what’s in front of little Rachel as she rides the waves? Set your fears aside, because the Giant Goldfish features swivel eyes to see in front of the snout, and with front-fin steering, she will have maximum control over her fish. Includes a bonus leash trailing from the rear end propulsion system. Available in these colors: Blaze Orange, Tangerine, Neon Carrot, Mango Tango, Electric Orange, and Kraft Macaroni & Cheese. *The Giant Goldfish is also available in marked down Irregulars, which may be missing a fin or two but still provide a quality pet for your child. I’m sure you know what pet is best for your child, and I hope I’ve been able to provide you with some helpful reviews of each of these suggested gifts. Hours of enjoyment await your child and your family when you purchase a pet for Easter. Further evaluations available upon request. 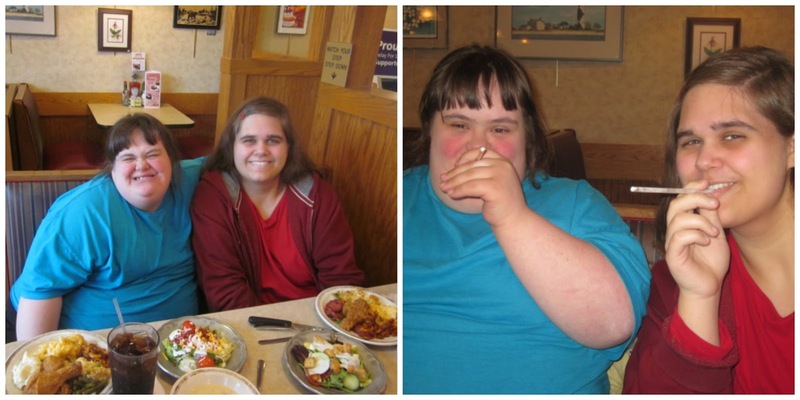 At Shoney's on Megan's birthday 2012: Megan and Caitlin and food! And then the two of them blowing spitballs! Megan: My birfday’s coming up soon. Me: Ohhhhh, noooooo. <look of anguish> Oh, Megan, I forgot, you hate birthdays. Megan: No. No. I love birfdays. Me: Aren’t you fasting from birthdays this year? Me: But aren’t you allergic to cake? Me: Doesn’t frosting give you hives? Every year Megan starts talking about her next “birfday” the day after her birthday. She does the same thing with Christmas, only last Christmas she started talking about it before the day was out. Megan: My birfday is coming up! Me, laughing: You silly, you just had your birthday yesterday! Megan: Yeah, but it’s coming up soon. Me: Welllllll, in another year it is, but you just had your birthday yesterday. You have to wait a whole year to have the next one. 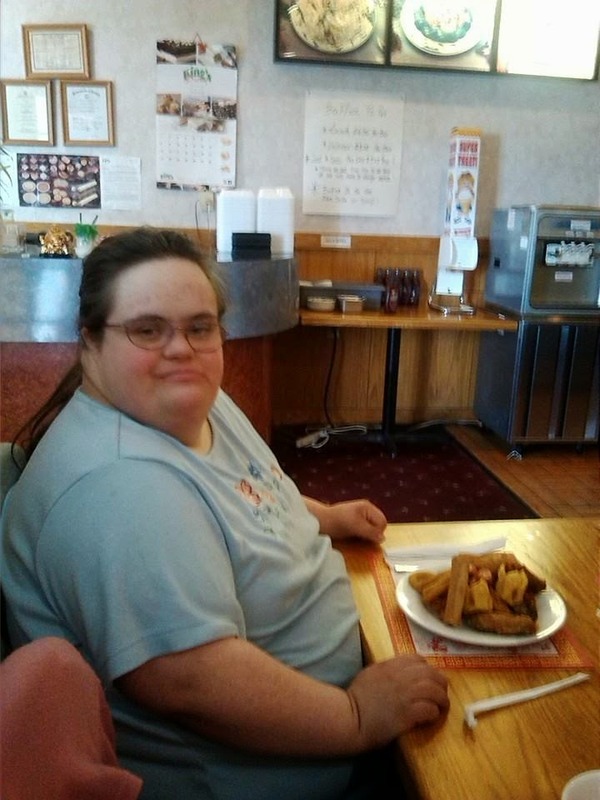 Megan. Ohhhhh, yeahhhh. For my birfday, can you get me more dollhouse people? And dat coloring fing? Da coloring pages in da book? And new markers. Me, resigned to it: We’ll see, okay? Well…it’s been a full year now. One year ago, my beloved younger brother Steven died. Tomorrow is the year anniversary of when I found out. I could never forget that call at 8:30 in the morning. After I hung up with my father, I sobbed so loudly that Caitlin heard me upstairs in her sleep and came down. I still remember how I felt, the shock and disbelief. The utter sadness that swept over my soul. Telling my mother was one of the most awful things. My heart broke into another million pieces. I don’t think it’s possible to even find all of them again. Even now, a year later. A flurry of calls were made back and forth between various family members, and plans were made, lists written, packing done. We left on the 6th and were in Massachusetts by the 7th, staying at a hotel. The next few days were spent visiting with my sister Susan and her family, and my mom, as well as Angela, Steven’s first wife. They had a friendship for years after they divorced, until he died. 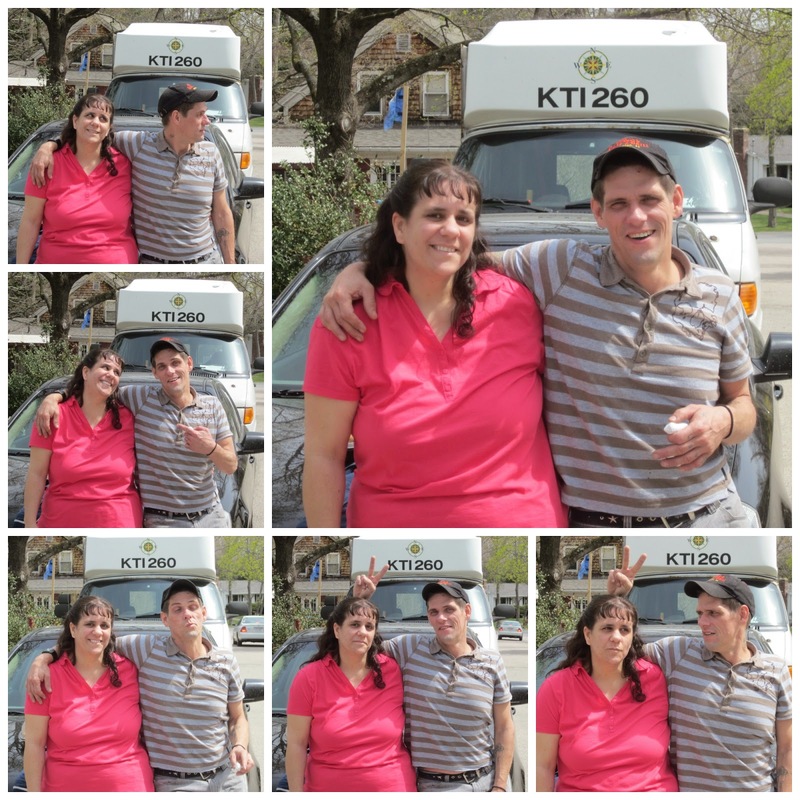 We held the service for Steven on February 11th, 2014. I couldn’t go see him in his casket. From what I heard, he didn’t look good, and I didn’t want that image in my mind. I wanted to always picture him the way I remember him. I sat with my mom because she also didn’t want to go up to him. The service was nice, and I believe Steven would have loved it and approved. One of my nephews spoke, as did my other sister and Angela. My sister Susan arranged for our childhood neighbor to sing Carole King’s Home Again. I read two poems that I had written. We were not only saying goodbye to him, but celebrating his life, too. Afterwards we had refreshments in the basement kitchen of the church, looking at the many photos we had of Steven, talking to friends and family, renewing severed ties, strengthening existing ones. Phil, the kids, and I left that night, after spending the rest of the day with my dad and his wife. We drove straight through again, arriving home on Wednesday, the 12th, and a snowstorm. By the next day we had 19 inches of snow. Yes, in Virginia! It’s been a year now. Looking back, I remember so many times when I thought I could not bear the burden of grief, the sorrow of Steven being gone. Sometimes it felt like it couldn’t be real, that he couldn’t be dead…and the sickening reality would hit me that yes, Steven died, and he’s not coming back. I will never hear his voice, his laugh, or see his loving face again. I’m crying yet again, as I write this, because…I love him. I love him and I miss him, and I wish he hadn’t died. I just miss him so much, it hurts. Before I give myself a headache from these tears, I want to share one of the poems I wrote and read at Steven’s service. I wish everyone could have known my brother. Love you forever, Steven Erik Amoling. And now we’re left alone. I‘ll see you all the while. And especially when I sing. And in letters you have penned. where honest love shines through.